With Canadian Thanksgiving days away and the beautiful Fall season upon us, what better than to infuse our homes with a little seasonal decor? 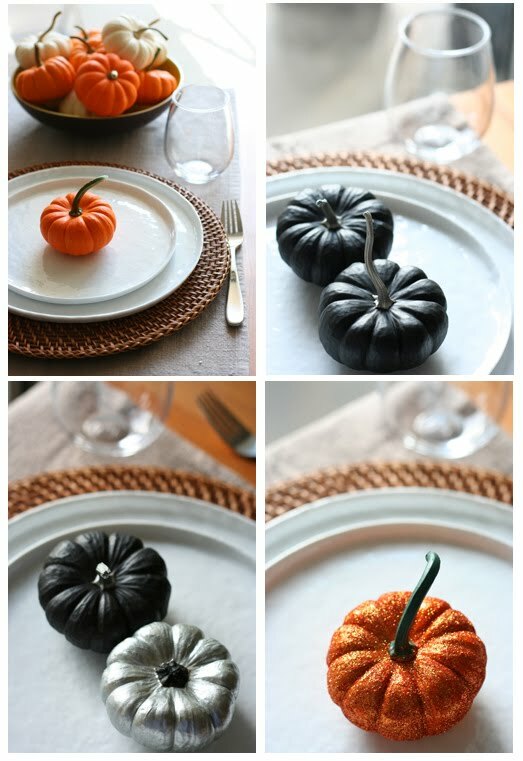 I've put together a few easy DIY ideas using mini pumpkins. To get all the tips to make these centerpieces at home, take a look at my DIY piece on Style at Home. I love anything shiny so I will have to try the shimmery pumpkins this week. Thanks for the tips! Oh my gosh, how much do I love this idea? They're so pretty! I think I must make these. Thanks for sharing! pumpkins are so f'ing cute.